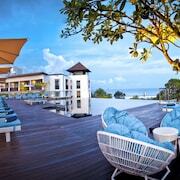 Looking for a Bali beach break with less crowds? Sounds like Legian’s your ticket! This Legian-dary area is right next to Kuta, a village famous for nightlife, dining and fun, but it’s a lot quieter and more laidback. Ready to take that relaxing seaside holiday you’ve been dreaming about? 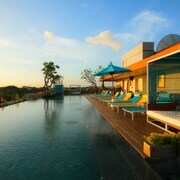 Book your Legian hotel with us and have it both ways in Bali. On sandy Double Six Beach, you can swim, surf, sunbake, take a walk, or just lay back beneath a colourful umbrella. When night-time rolls around, this place comes to life (nightlife, that is) with beachside bars and clubs. Come get your drink and dance on! 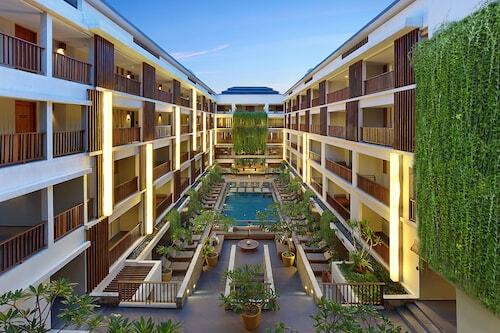 A couple of km’s away, Kuta bustles with wildly diverse nightlife, a surf beach, water parks and shopping. For something a little out of the ordinary, swing by the Kuta Sea Turtle Conservation Site or Bali Shell Museum, which has shells of all sizes and colours. With long balconies that overlook lovely outdoor gardens and a view of the Indian Ocean, Beachwalk Shopping Centre has an impressive array of restaurants and shops, including chilled-out dining options and heaps of designer brands. Take a walk down Jalan Legian, or Legian Rd, a three k.m long shopping street filled with art shops and cool fashion boutiques. From fine dining to affordable yet delicious burgers, European cuisine to very fresh seafood, the Legian region has the power to satisfy any hungry holiday-maker. Need insider tips on must-see attractions in Legian? 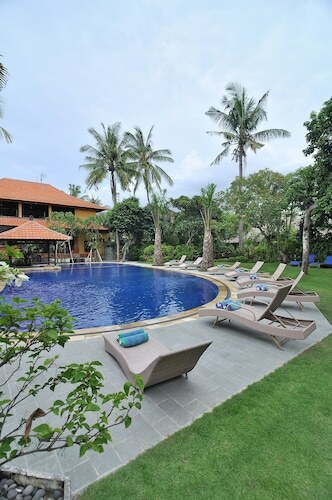 Check out our Legian travel guide! 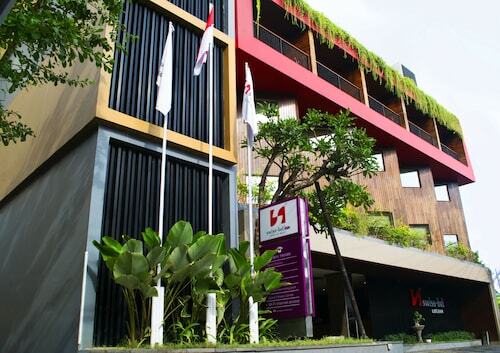 How Much is a Hotel Room in Legian? 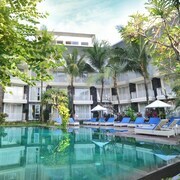 Hotels in Legian start at AU$30 per night. Prices and availability subject to change. Additional terms may apply.